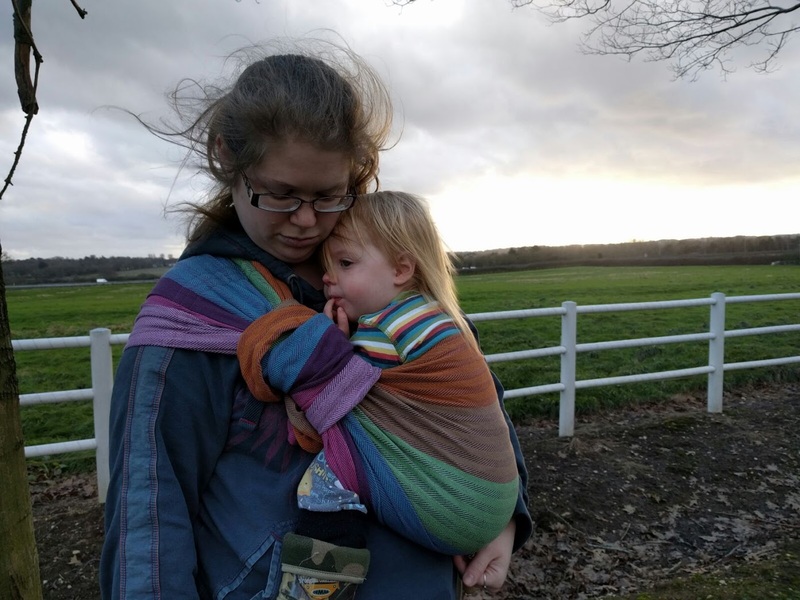 Luna Baby Carriers are based in Romania and have been in business since 2008, and are now available in the UK from Carry me Baby, who sent me this Tara Carpo ring sling to test and giveaway (see Sling Sally’s Facebook page for more slingy giveaways). 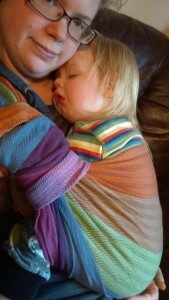 The Tara ring sling comes in ten different colour options, six are striped like the Carpo, and four are solid colours. 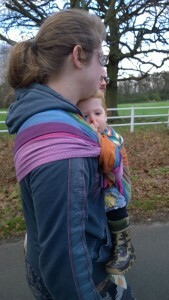 (Woven wraps are also available). 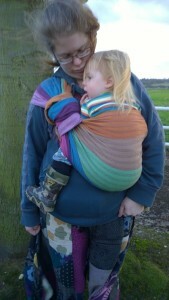 The herringbone weave of Tara adds a good level of grip to the sling. 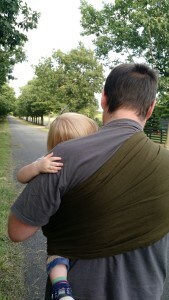 The shoulder is pleated but very widely, so it almost has the appearance of a gathered shoulder. 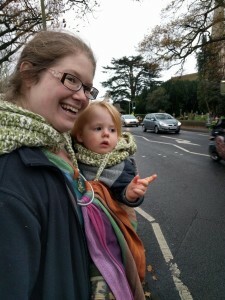 When Tara Carpo first arrived, my first impressions were that it felt quite thick (it feels thicker than you would expect from the gsm), and that this could be a good supportive ring sling for nearly two year old Reu. 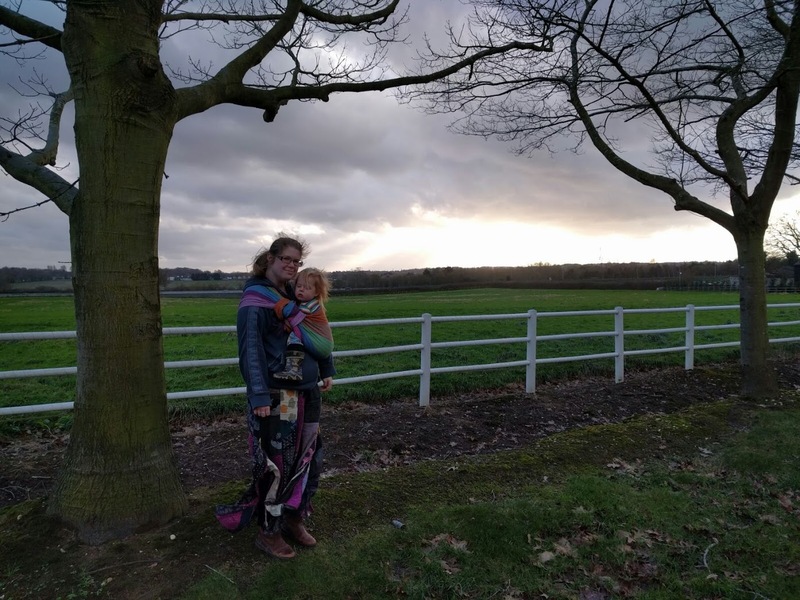 I really like the colours, the different coloured stripes work well together and while still being cheerful are also not too bright and in your face (and there are plenty of subtler or brighter options available for different people’s tastes). 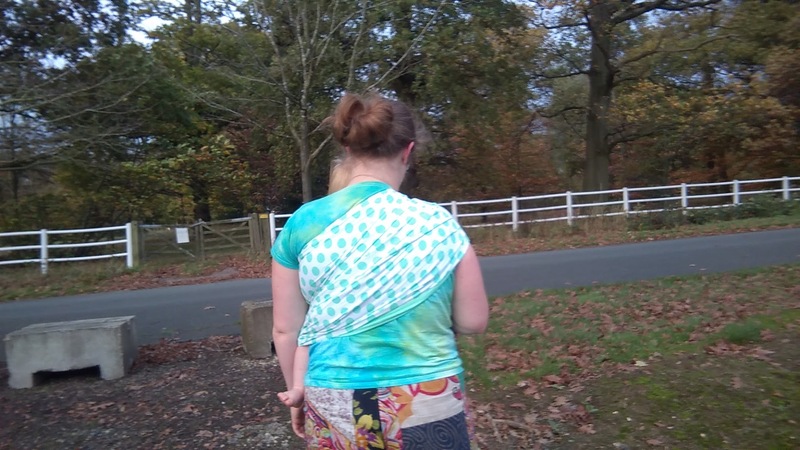 I instantly liked the look of the pleated shoulder – I usually prefer a gathered shoulder but this is so widely pleated that it brings the benefits of both pleated and gathered. 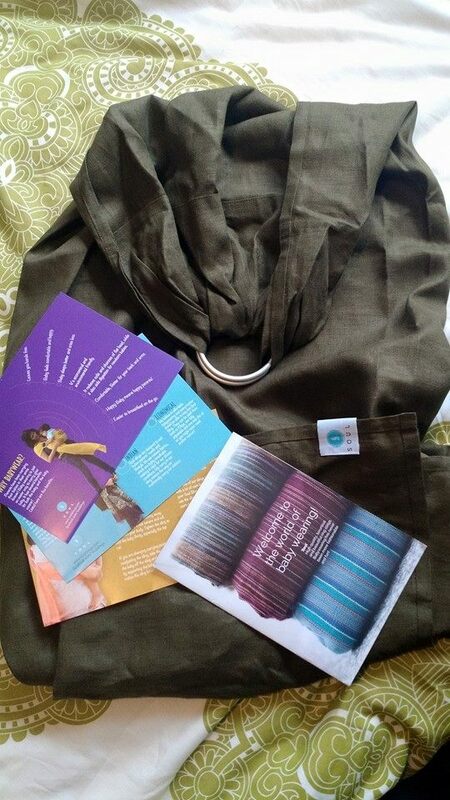 It arrived feeling quite soft and cushy. After a wash it stiffened up a little but it didn’t take much use to get it back to its pre-wash state, and it’s continued to soften further with more use (running it back and forth through the rings should speed this up significantly with minimal effort). 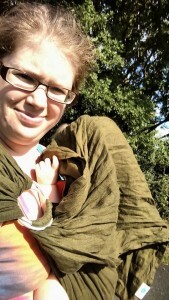 The thickness doesn’t feel heavy during use and adds to the cushioning of the sling. 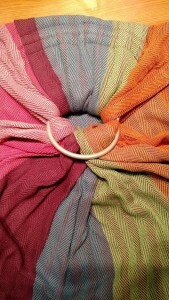 The texture to the weave that aids with this means that it’s not the softest sling I’ve used, but it holds beautifully in the rings with no slipping at all, which can be a problem with a smoother weave. 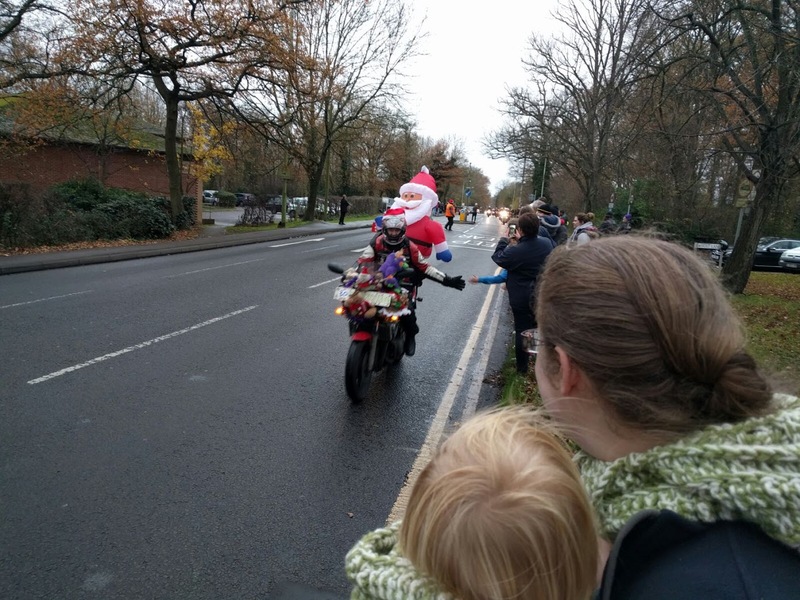 The first time we used Carpo was to go and watch a local Christmas Motorbike event. 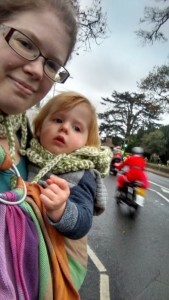 We walked about fifteen minutes each way and stood and watched the bikes for over an hour. 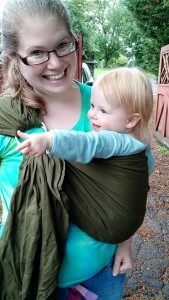 Even with carrying toddler Reu for all this time, Carpo was really supportive and comfortable throughout. The lovely widely pleated shoulder was a great middle ground between gathered and a narrower pleated shoulder. 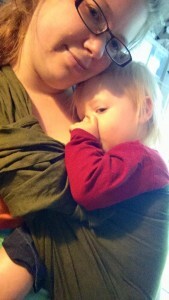 It spread the weight well over my shoulder but without going so far down my shoulder so as to restrict movement. 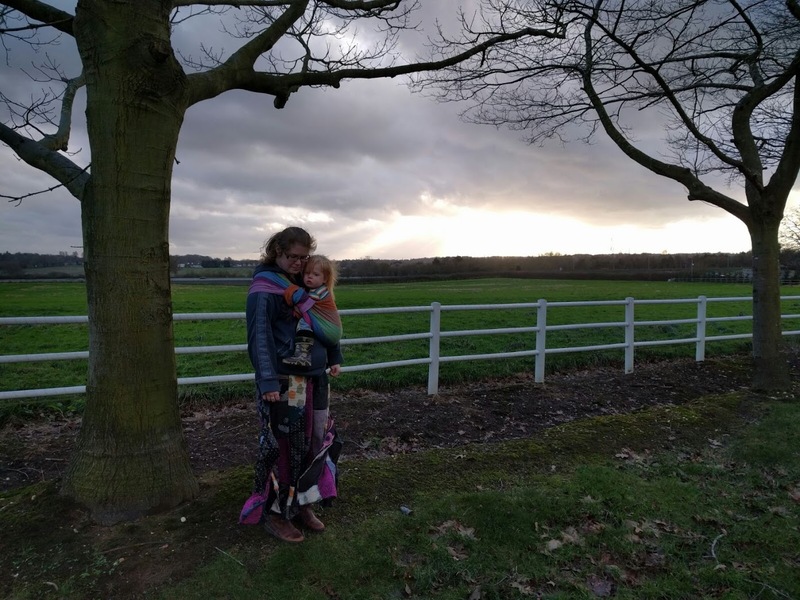 The 2m length left a long enough tail to look nice, or wrap round the ring and make a nice cushion for a sleeping Reu, but wasn’t so long as to get in the way of my legs. 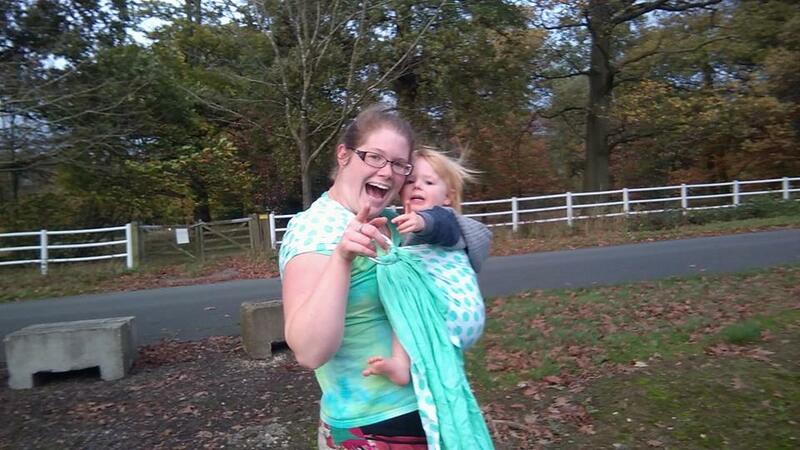 Tara Carpo continued to support both Reu and I really well through the rest of our testing. 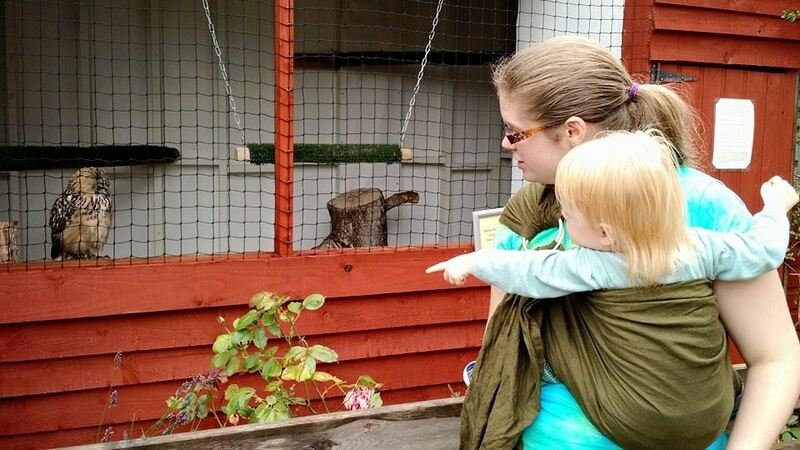 It tightens well through the rings, and then holds very well indeed. The sling conformed around our bodies well, and wasn’t diggy in any way, and it would also work just as well for a younger baby. 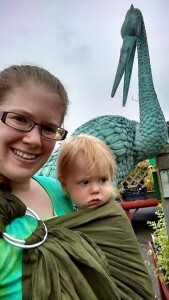 Overall, I enjoyed our time with Tara Carpo. 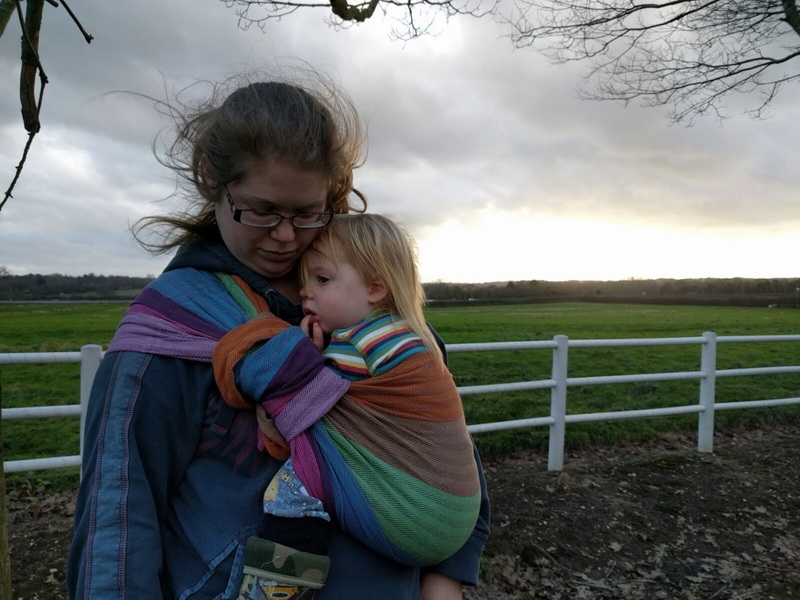 I’m starting to find as Reu is getting bigger that some one shoulder slings or carrys tend to pull and are not as comfortable as they once were (this is individual for each person and some people may find that one shoulder carries are most comfortable for them with any age child). 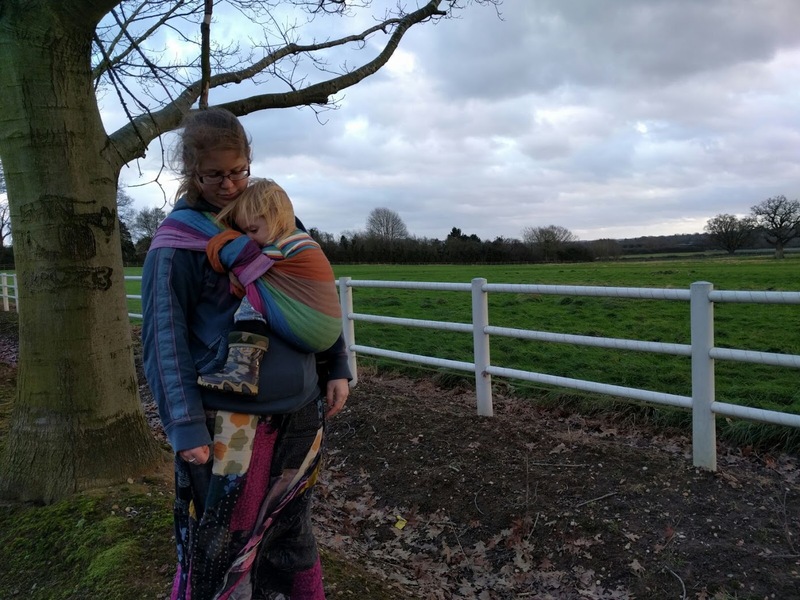 Tara Carpo reversed this trend for me and was just as comfortable to carry nearly two year old Reu in, as others were when he was a year or more younger. 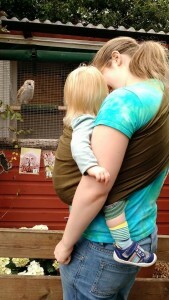 I particularly like the shoulder, and the thickness of the sling. 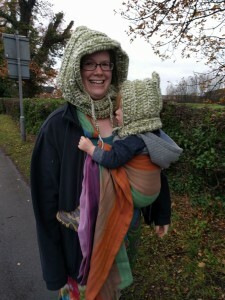 These slings are well made and good value for money at £43.95, and would be a great addition to any sling stash or library, and I hope to add one to my library in the future. 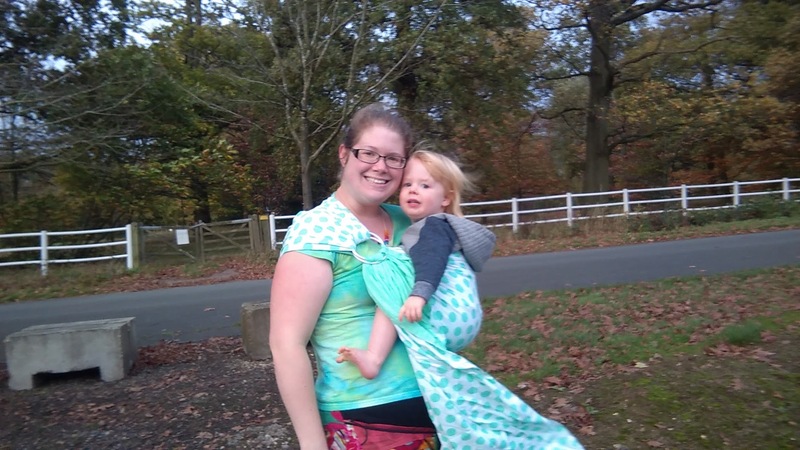 The Cookiie ring sling is made from a double layer of cotton material, rather than the more frequently used woven wrap fabric. 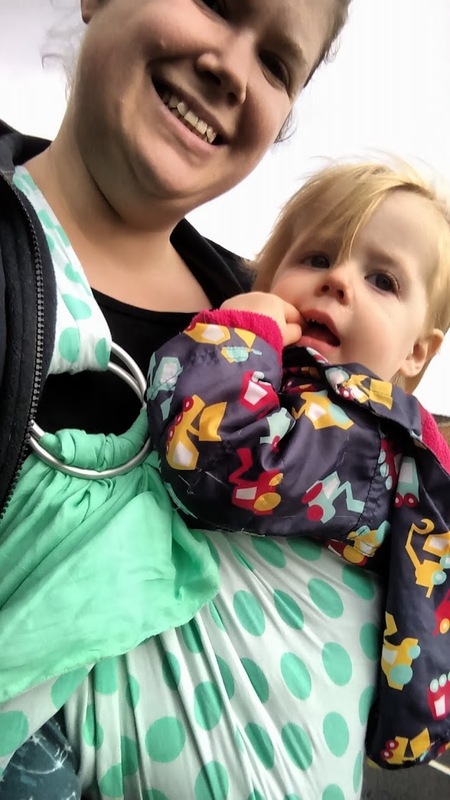 The material is therefore thinner than other ring slings I have used so I wasn’t sure how supportive it would be when carrying my 21 month old toddler. 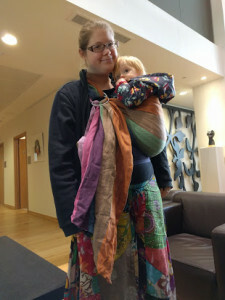 I like the design and it’s nice that the fabric used means that each side of the reversible design is truly different. 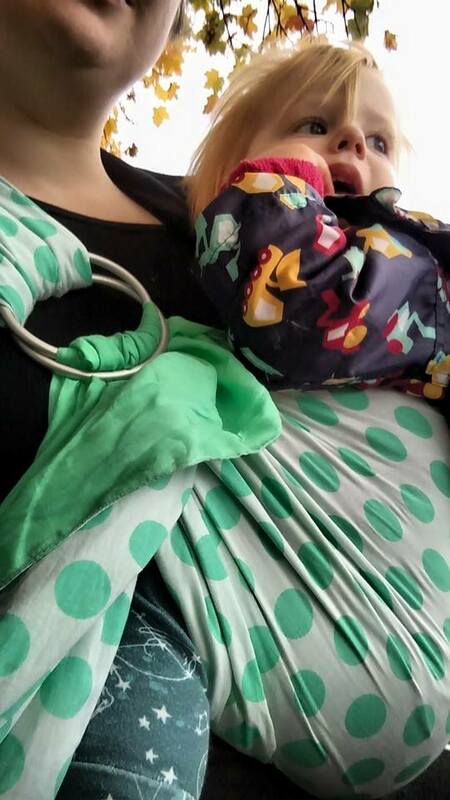 One side is a plain sea green, while the other is white with pale green polka dots. 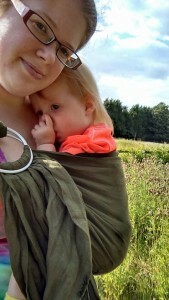 The stitching is nice and neat and the rings used are nice and sturdy (some other affordable ring slings can have thinner, less sturdy looking rings). 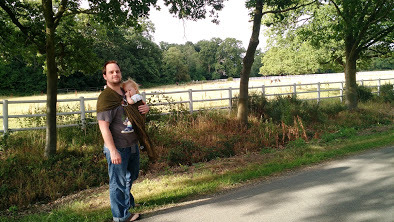 My concerns over supportiveness were unfounded and the Cookiie ring sling took Reu’s weight well. 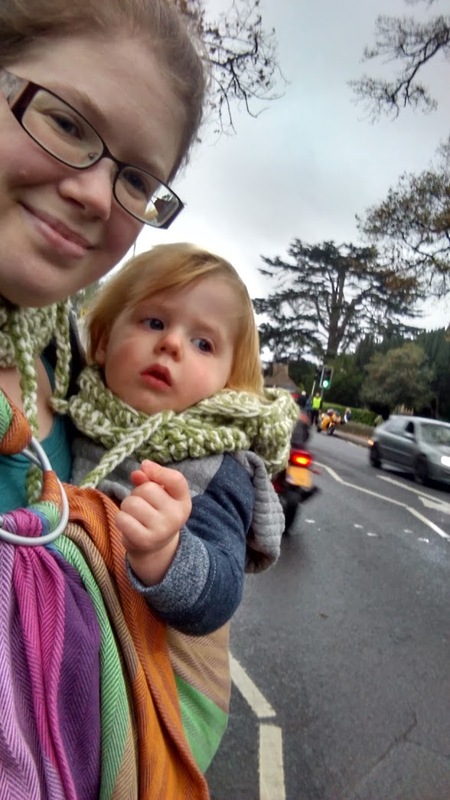 I found it slightly less supportive over my shoulder than i do with other ring slings, but I managed to rectify this somewhat by positioning more carefully to ensure the weight was spread as comfortably as possible. 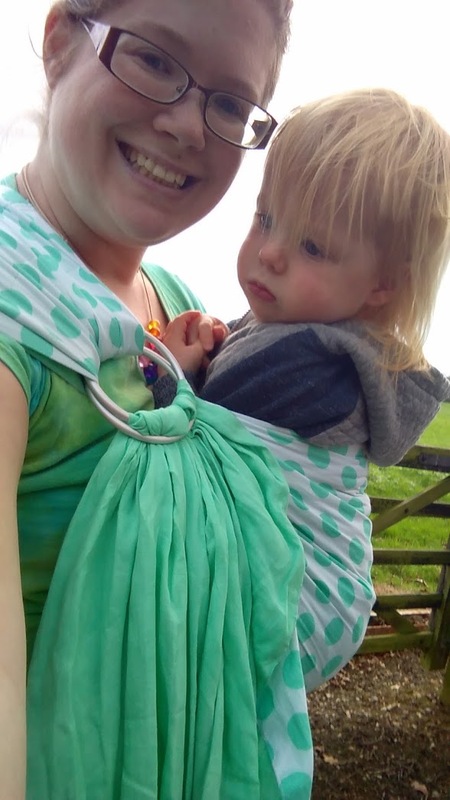 When preparing the sling for use the fabric moved through the rings quite easily, however once Reu’s weight was added it became harder to pull through to tighten. 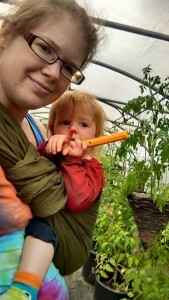 I found that as far as tightening went it was similar to a muslin or 100% linen ring sling, in that you had to tighten it more incrementally along the width of the sling than you would with a typical woven wrap fabric. 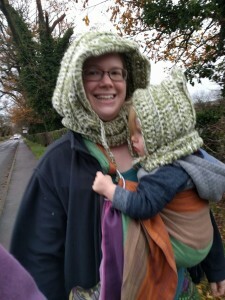 Once I had tightened it, it held very well with no slipping or sagging at all. 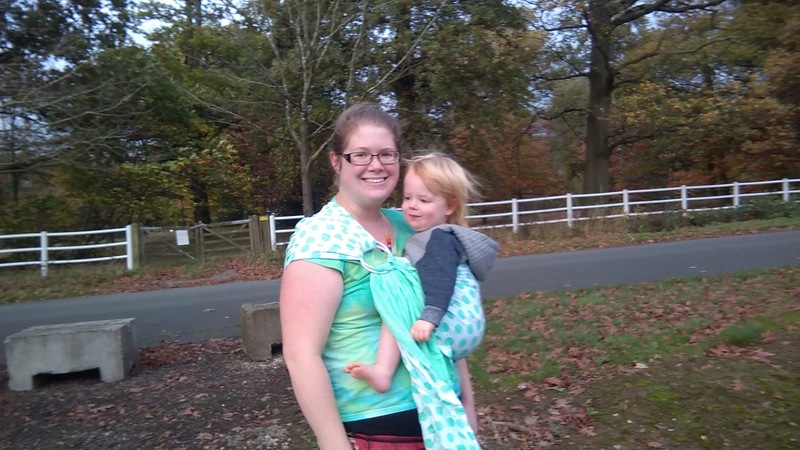 The sling being made of a thinner fabric did make it nice and cool and I can see this being really nice and breathable in hotter weather (I reviewed in UK October and November so no hot weather use here!). 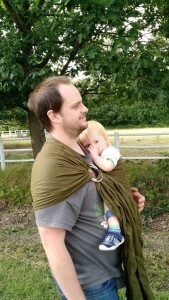 We used it for several walks and shopping trips and after the initial tweaks to fitting technique found it just as supportive and comfortable as other ring slings. 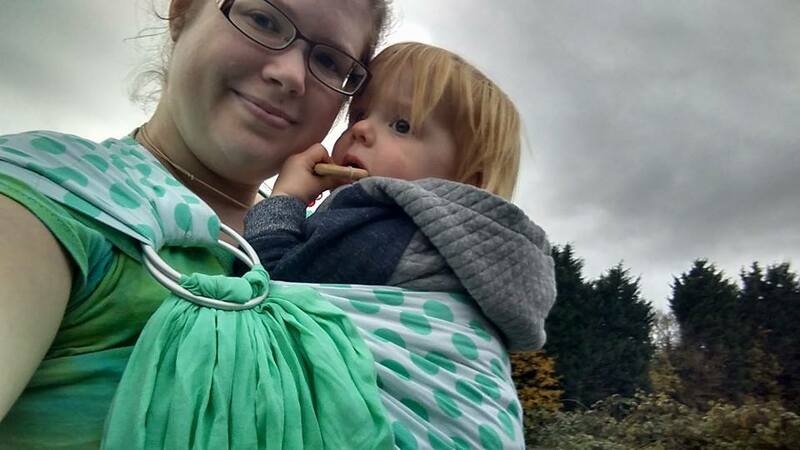 Cookiie ring slings are a very affordable option (do allow for shipping and customs costs), and are significantly cheaper than many other ring slings available. 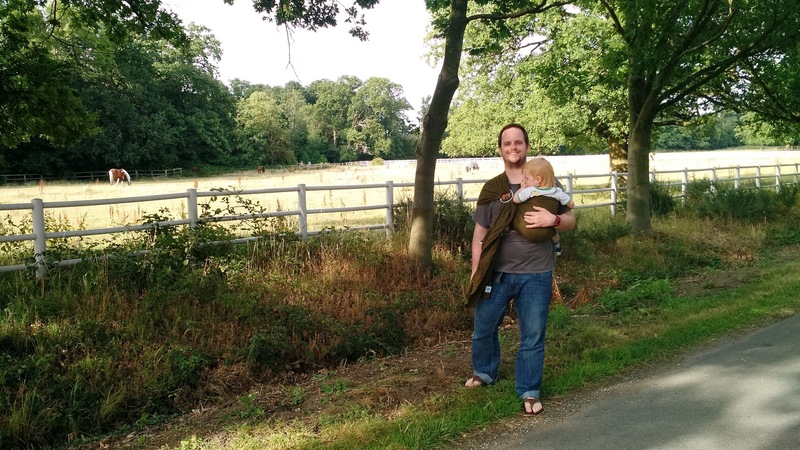 They do require a bit of extra attention when fitting and tightening, but as with other non woven wrap fabric slings (such as muslin ring slings), this can be adapted to for the benefits of affordability, coolness and aesthetics. 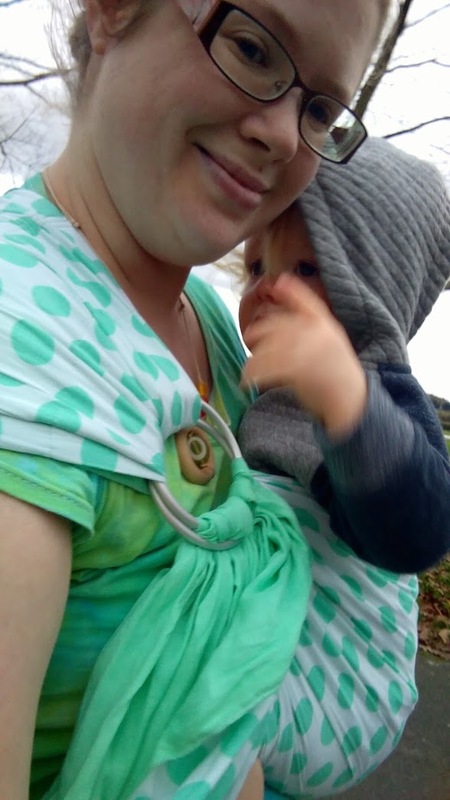 It could also make a really nice holiday sling due to the coolness, and the thinner fabric means it packs down smaller than other ring slings. 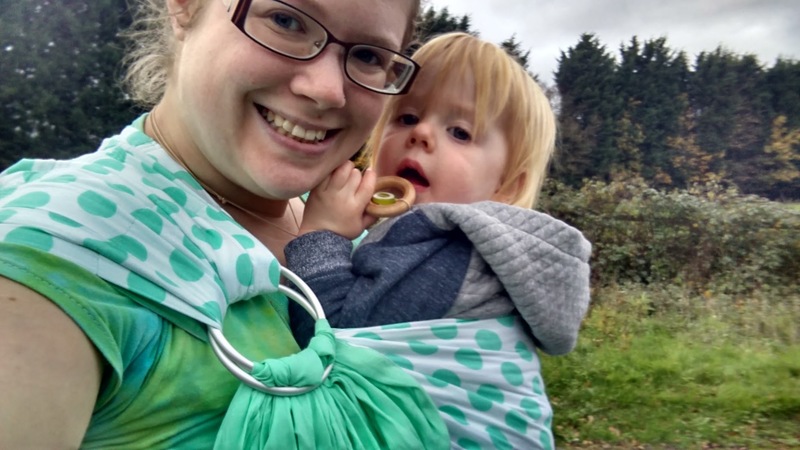 Overall I was happily surprised that the Cookiie ring sling was as supportive as it was, and it certainly has some benefits over some other ring slings. 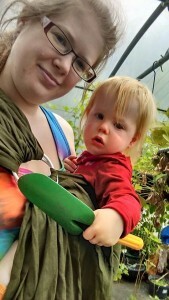 Cookiie slings have lots of other slings including a nice looking soft structured carrier, and accessories on their website so if you do decide to order it may be worth ordering with friends to share the shipping and customs costs.